Don’t miss these 5 super fruits! There are many new weight loss ideas that hit the market every week. Infact, there are so many that it is sometimes hard to keep them all straight. Often times when you keep it simple you will be more effective in reaching your weight loss goals. In that spirit one of the simplest things you can eat to burn fat are delicious fruits. Here are 5 super fruits that burn fat for you to add to your diet. Everyone including men, women and children can enjoy eating super fruits. The first tasty fruit we will talk about is Pineapple. This tasty pacific treat has many health benefits which allows your body to function at a higher level and burn fat. When you eat pineapple you will be getting a food that is high in fiber and low in calories. But it provides you with a whole lot of health benefits. Eating just one cup a day will give you most of the recommended amount of vitamin C that you need in a day. They also provide you with energy that helps in working out and losing weight. 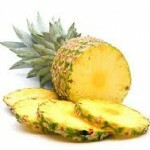 There are also antioxidants in pineapple that will keep you healthy. These delicious natural treats are not just for monkeys. It is there for you if you are looking to eat things that help you burn fat. 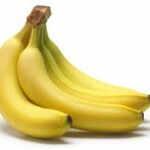 Eating bananas is great for weight loss because they are very low in calories. They contain a whole lot of fiber and are easily digested. They also contain very little fat, so they will make you feel full and stop you from eating more than you need. Bananas are also good to help fight arthritis, diarrhea, dysentery, gout, tuberculosis and kidney problems and urinary problems. 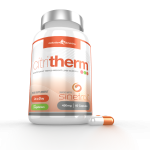 They will help speed up your metabolism and help you burn fat. The old saying that an apple a day will keep the doctor away, was not just idle talk. Now you can change that saying to: an apple a day will help the fat melt away. 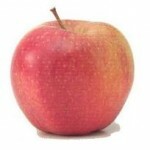 Of all of the supplements to your diet, eating apples may be the best choice for several reasons. They decrease glucose levels in your blood which allows your body to burn fat more efficiently. They do not have many calories and they fill your stomach. This means you will feel less hungry after you eat them. 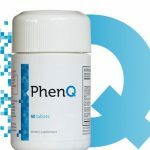 Other health benefits include but are not limited to, help women fight osteoporosis, protect brain cells from Alzheimer’s disease, lower cholesterol, provide lung cancer prevention, decrease the odds of getting breast cancer, and help fight colon cancer as well. Not bad for eating something once a day. These citrusy wonders provide you with delicious taste as well as fat burning power. They are of course just loaded with vitamin C as are all citrus fruits. But they also provide a great boost to your immune system that will keep you healthy and allow your body to work at a higher level burning fat. They are also high in fiber which allows you to feel fuller after you eat them. This also encourages you to eat less. Oranges may not be the only thing you need to burn fat but they will definitely get you on your way to weight loss. Our final super fruit to burn fat is the delicious grapefruit. 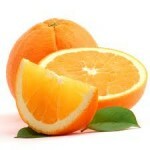 Much like oranges these fruits have been known to be a staple of a healthy breakfast for many years. Since it is low in calories the grapefruit is a great food to help you lose weight. 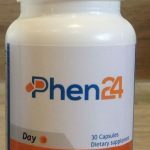 It also provides you with many of the vitamins and minerals you will need to be at your best throughout the day like vitamin C and potassium. 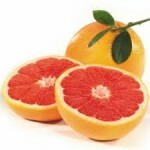 Red or pink grapefruit is also a great provider of vitamin A. Keeping your body running at an efficient level is important. There are many positive changes that you can make in your diet and including the 5 super fruits to burn fat mentioned in this article will help you reach your weight loss goals. You will feel better both inside and out. Some other fruits you can eat are cranberries, lemons, limes, cranberries, watermelon, kiwi, grapes, melon, mango and papaya, just to give you a few more options. Top 5 Low Carb Diet Plans Used to Burn Millions of Pounds !